A beautiful engagement style ring that matches well with a wide array of outfits and accessories and is quite the attention grabber! 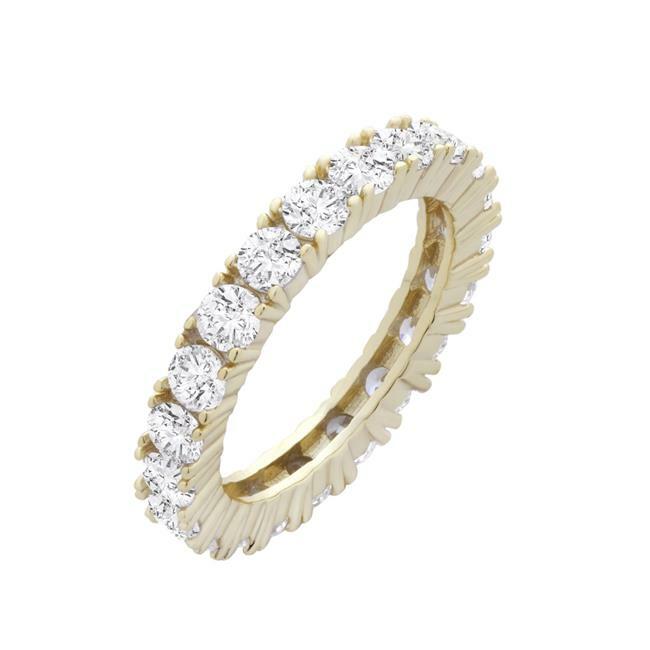 This Rhodium gold plated sterling silver eternity band 3mm ring featuring encrusted cubic zirconia is a statement making piece of beautiful design and is guaranteed to set you apart from the crowd. Perfectly suited for everyday wear/evening outings and can be worn in lieu of your real engagement ring.